Valley Park in Hurricane West Virginia is a popular destination for individuals far and wide. Whether you enjoy swimming during a hot summer day, gathering friends to play sports or just love going to the park, Valle Park will surely be a crowd pleaser. Valley Park & Waves of Fun is Hurricane’s largest park and outdoor waterpark. Valley Park features walking trails, multipurpose athletic fields and courts, shelters, a dog park, two ponds, and the Waves of Fun Waterpark. At Waves of Fun, everything from spiraling waterslides and beach-like waves will keep people of all ages amused for hours. The 30,000 square foot community center houses a large banquet room that seats 450 people with tables or more than 1,000 people in a conference setting. The community center space also houses the county’s parks and recreation offices, and the entrance to the Waves of Fun pool. The park also offers a community gardening space, a greenhouse, a laser-timed obstacle course, 40-meter dash playground, walking trails, and dog park. 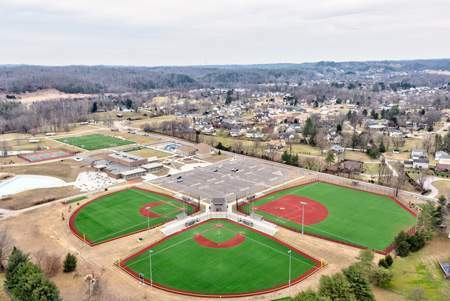 Another focal point at Valley Park is the full-size soccer field with a walking track around it, ball fields, tennis courts and an 18-hole disc golf course designed by a professional disc golfer.